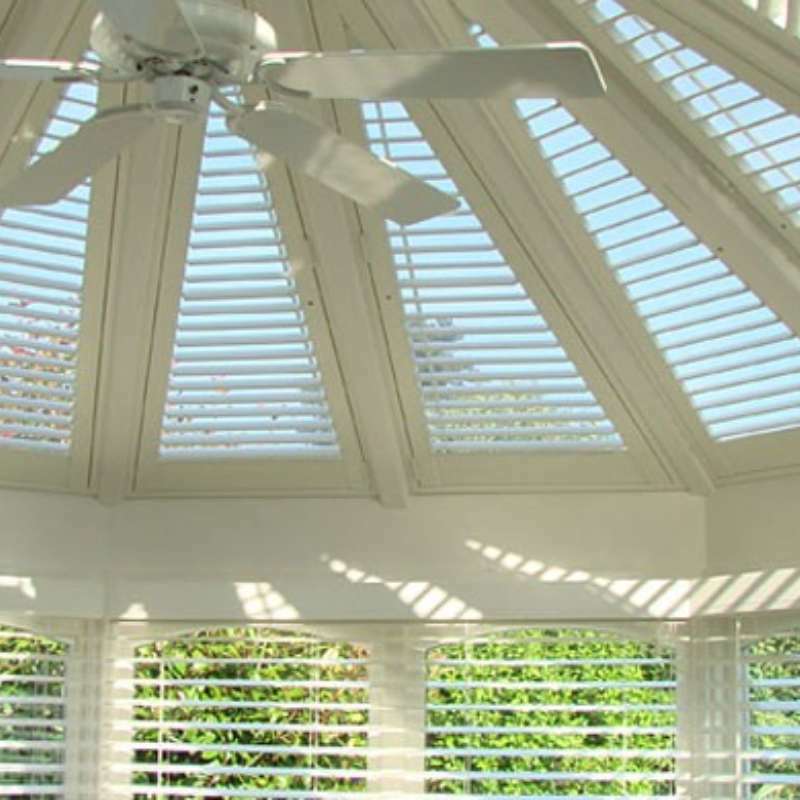 ﻿ Conservatory Blinds and Window Shutters… | The Great Shutter Co. The British love a conservatory – it gives us that opportunity to enjoy the outside even when the weather has let us down a little. Yet when we are blessed with sunshine they can get incredibly hot and also too bright. 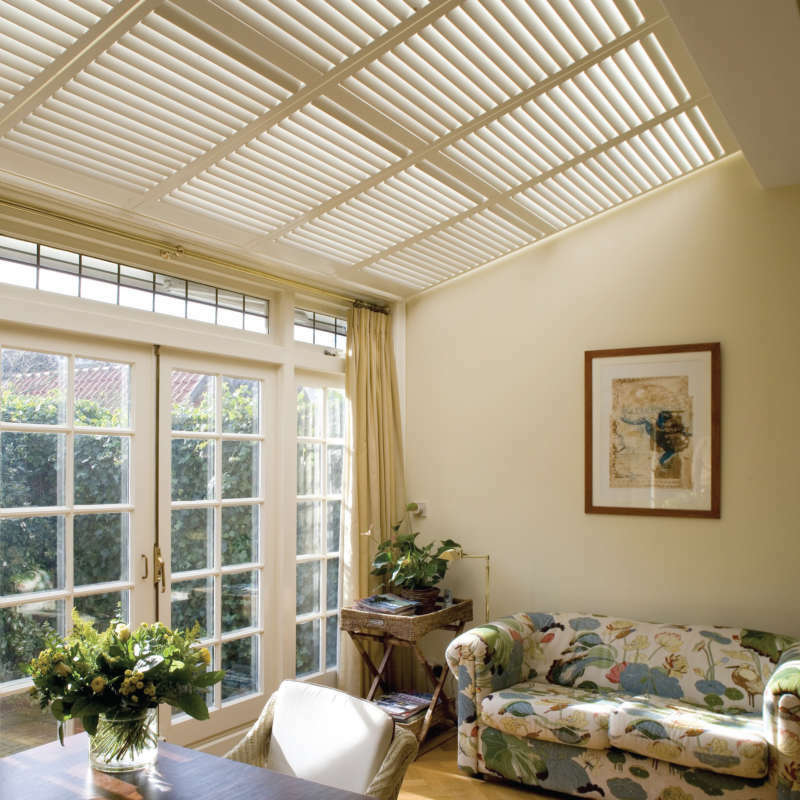 Conservatory shutters allow you to control heat and brightness levels. More versatile than blinds they are the perfect solution. For many of us our conservatories can also be overlooked by neighbouring properties and so the ability to angle the louvers means we can enjoy the view of the outside while still maintaining an element of control over of our privacy. 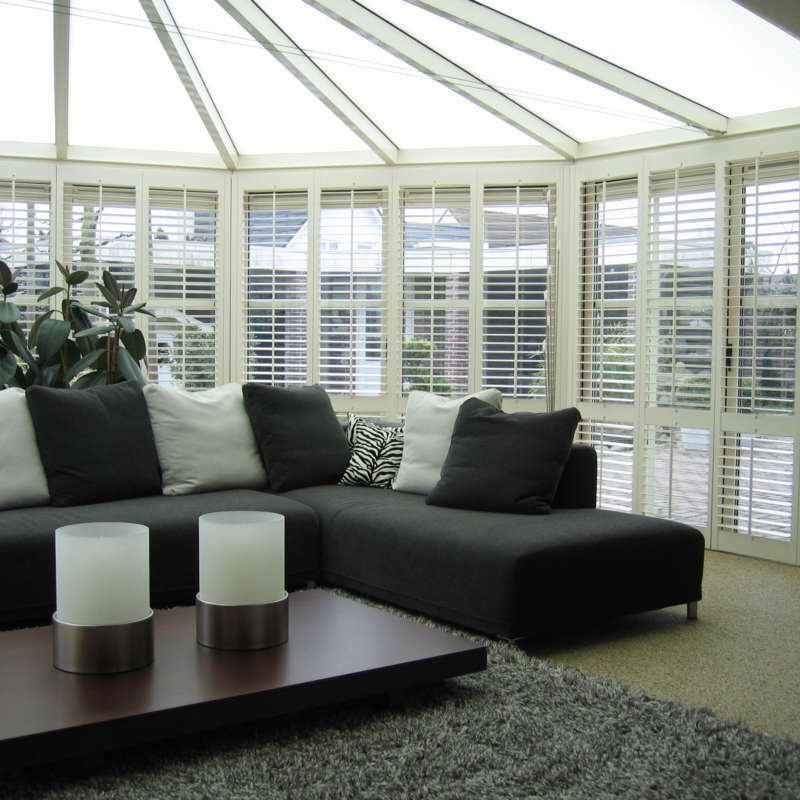 Whether your conservatory is a traditional wooden structure or UPVC we have shutters to match. 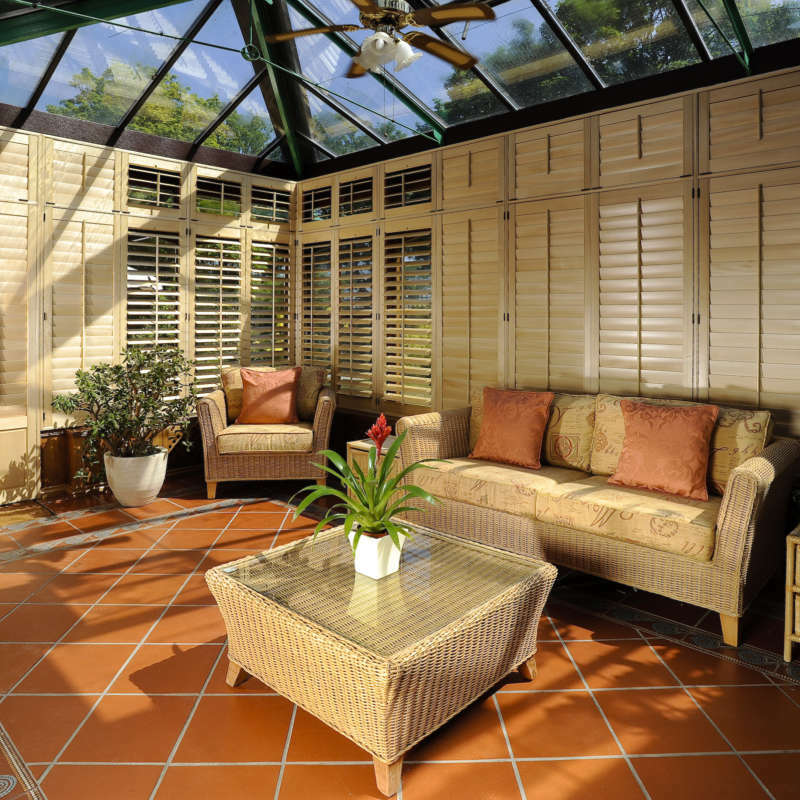 These beautiful wooden shutters complement both the conservatory and the furniture and the images show how versatile the configuration of the louvres can be. If you are looking for conservatory roof shutters then again we have the solution. Our shutters can be shaped to suit your roof and with the integrated roof catches we can make sure your shutters stay safely in place whatever the pitch of your roof. The catch system also ensures that reaching your glass for cleaning is easy to do. We also have shutters that can be mounted on your patio doors – if you would like more information please click here or if you would like shutters as a room divider between your home and your conservatory or tracked in front of your bi-fold or sliding doors then please click here. Conservatory shutters really make a fantastic addition to your home and if you would like further information or some advice about how The Great Shutter Co. can help transform your conservatory please all 01962 710807.